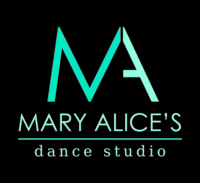 These classes are open to any student wishing to register at Mary Alice's Dance Studio. As the legal parent or guardian, I release and hold harmless Mary Alice's Dance Studio, its owners and operators from any and all liability, claims, demands, and causes of action whatsoever, arising out of or related to any loss, damage, or injury, that may be sustained by the participant and/or the undersigned, while in or upon the premises or any premises under the control and supervision of Mary Alice's Dance Studio, its owners and operators or in route to or from any of said premises. As the legal parent or guardian, I release and hold harmless Mary Alice's Dance Studio, its owners and operators from any and all liability, claims, demands, and causes of action whatsoever, arising out of or related to any loss, damage, or injury, that may be sustained by the participant and/or the undersigned, while in or upon the premises or any premises under the control and supervision of Mary Alice's Dance Studio, its owners and operators or in route to or from any of said premises. I agree to let my dancers photo be used in studio media and promotions unless other wise specified. The undersigned gives permission to Mary Alice's Dance Studio, its owners and operators to seek medical treatment for the participant in the event they are not able to reach a parent or guardian. I hereby declare any physical/mental problems, restrictions, or condition and/or declare the participant to be in good physical and mental health. All monthly tuition accounts must be registered for AUTOPAY with a current credit card on file this season. You may still pay your tuition and fees via cash or check if you prefer but please note the following ... To avoid the AutoPay being billed to your credit card on the 5th, you may remit a Cash or Check payments to the office that must be received no later than the 4th of the month. There is a $10 late fee assessed to unpaid balances per month.